As part of a cross-sell campaign, create a print ad that promotes on-campus and online undergraduate degrees from DeVry and graduate degrees from Keller Graduate School. 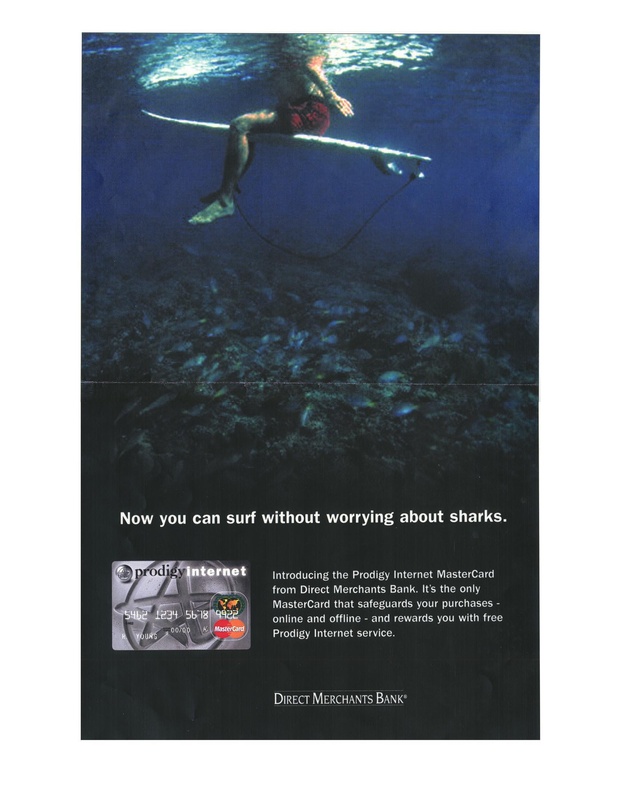 Create a customer acquisition print ad to promote the online security features provided by the Prodigy Internet MasterCard. Create a customer acquisition print ad to promote the 2,500 Dividend Mile sign-up bonus, the 1:1 rewards and non-expiring miles benefits offered by the U.S Airways Dividend Visa© card. 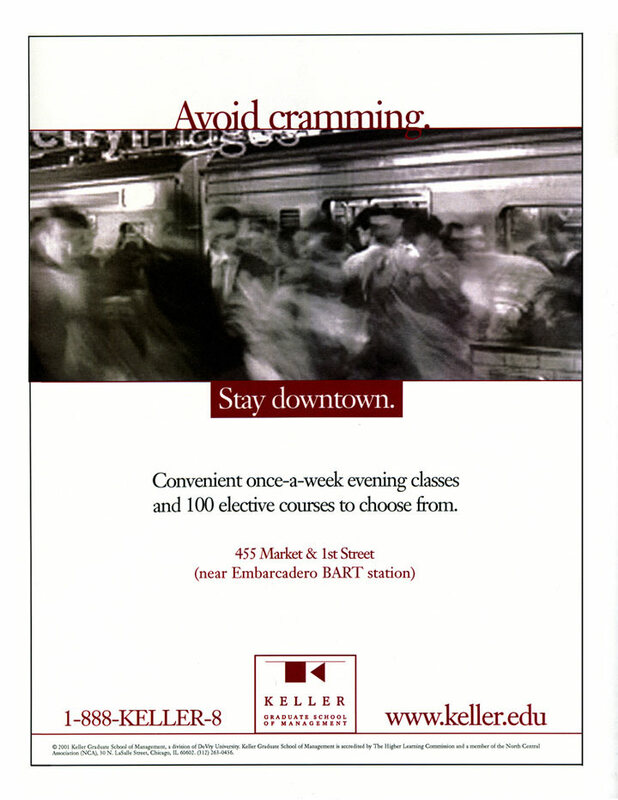 Create a transit station print acquisition ad aimed at working professionals promoting Keller Graduate School’s new downtown San Francisco campus and their variety of evening classes.